When the stars align for a world class rider, they can do incredible things. They can achieve things that even surprise themselves. 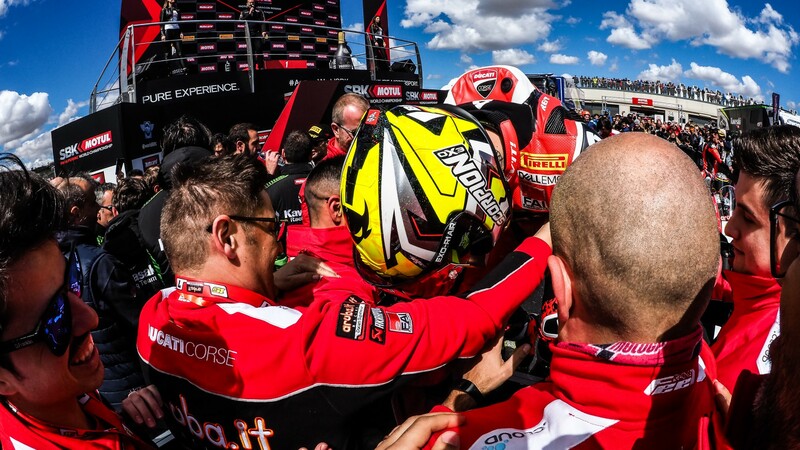 The stars have aligned for Alvaro Bautista (Aruba.it Racing - Ducati) with the brand-new Ducati Panigale V4 R in WorldSBK this year. Nine from nine has come, with each race victory answering another question asked of him. Can he win with Pirelli tyres? He checked that off in Round 1 at Phillip Island. Can he win at a circuit that demands a more traditional riding style? Box ticked in Buriram where he dominated at a circuit that was chalk and cheese to the Australian season opener. What about winning in Aragon? The favourite circuit of his teammate, Chaz Davies? That mission achieved with minimum fuss last weekend. The Ducati is an absolute weapon, but the rider still needs to get the job done. Bautista has been able to answer any questions laid at his door. In MotoGP™ he showed flashes of what he could do and warranted time as a factory supported rider with four different manufacturers. However, in a true golden age of Grand Prix racing he has never got the chance to show exactly what he can do. Winning nine in a row is a tremendous feat for the rookie Spaniard, but the most impressive element of his success isn’t that he is wining; it’s how he’s winning. The margins might be massive but that in itself, isn’t what impresses. It’s his total commitment to being at the limit on every single lap of practice or races. There is no “time off” for the Spaniard when he gets on his Ducati. We saw him tying his bike in knots in Aragon during the closing stages of races. He was still doing what he could to learn and understand everything possible. Winning races wasn’t enough for him. 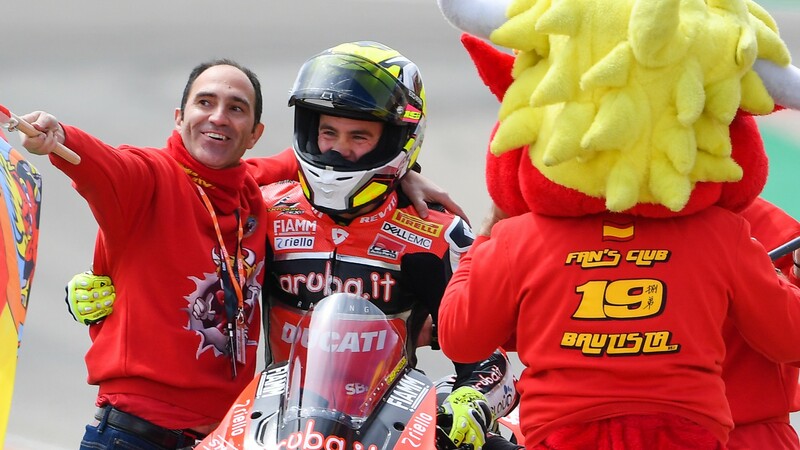 Bautista, like Max Biaggi or Carlos Checa before him, takes a similar approach. In MotoGP™ where the margins for success or failure are so slim, there is no quarter given at any point. If you’re a young rider coming up through the ranks in the smaller classes, you need to be constantly at your limit. If you’re not at that limit, you’ll be in 20th position. The depth of competition combined with the cut throat nature of racing at any level breeds a survival of the fittest in the paddock. In such an environment there is no problem too small to fix. Any issue is a big problem that needs your attention. That’s why in practice there is no time to relax. No time to cruise. No time to lose. Bautista has taken this approach to WorldSBK and he’s put pressure on his rivals from the outset. His riding style is very different to his contemparies. He brakes earlier and spends more time on the angle of the tyre. He’s slower on corner entry but is willing to sacrifice that to make sure that his laptime is as fast as possible. A top speed advantage for the Ducati undoubtedly helps Ducati but it’s not the sole reason they are winning. The advantage means that Ducati riders are able mask some mistakes and limitations in other areas. Give any rider a choice between top speed and stability, and they’ll always take the speed as it gives you free laptime. We saw this in Aragon with the podium battles. 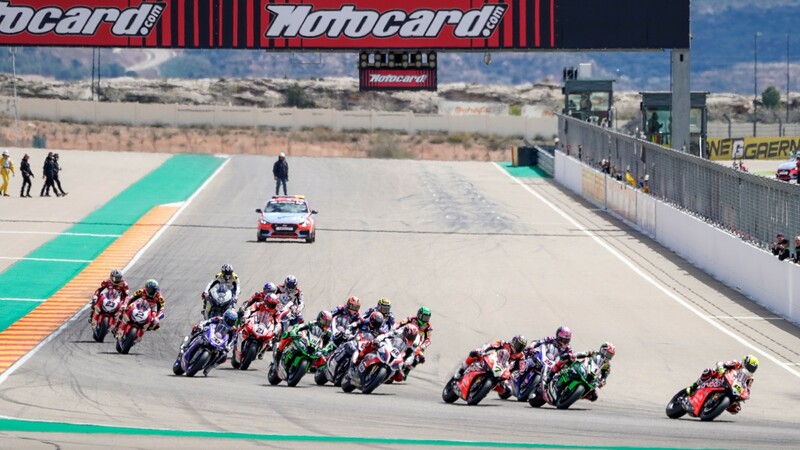 With two Ducati’s of Davies and Eugene Laverty (Team Goeleven), fighting with the Kawasaki of Jonathan Rea (Kawasaki Racing Team WorldSBK) and the Yamaha of Alex Lowes (Pata Yamaha WorldSBK Team). All three bikes have different strengths and weaknesses but top speed, and also importantly, tyre life were real advantages of the Ducati. Having that power means you also have to be able to transfer it to the ground and the Ducati can do that. If Kawasaki can close the gap to Ducati at Assen, a track that should bring the field closer together, Rea will need to be even better to give us a scrap at the front. It’s a big ask but it’s now what everyone is waiting for. Everyone knows how good Rea is. Everyone now realises just how good also Bautista is. Hopefully we see them fight it out soon. 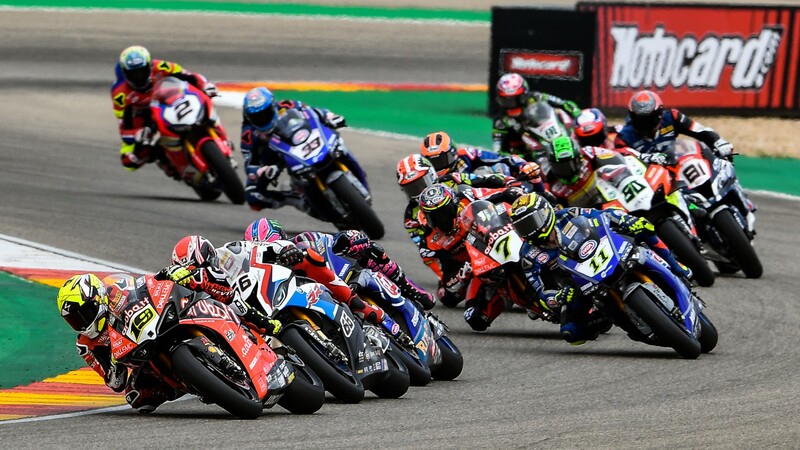 Find out what will happen at the MOTUL Dutch Round from 12th – 14th April. Follow all the action with the WorldSBK VideoPass.